Nominations for the 2017 awards are now closed. Nominations must have been made online by December 6, 2017. Nominated yachts must be over 30 metres long (LOA) and anyone can nominate a qualifying yacht, but please note that required documentation must be sent with the nomination. 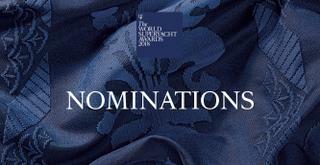 All nominations must be accompanied by an entry fee of £250 plus VAT to cover event administration costs. Entry fees need to be paid on submission of the nomination.